Twin balance meets directional prowess in a board that floats and flies like a dream. 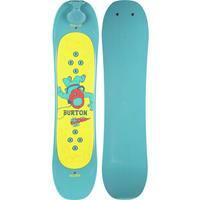 With Malolo roots, the Burton Landlord revives the precise stomp and surfy feel that chargers have been asking for. Balanced Freeride Geometry is the secret with setback camber and sidecut that are centered on your stance to create a twin freestyle feel when riding flat base. On edge the board turns tight and quick, with entry rocker and taper for added float and flow. Its upgrade to the lighter and snappier FSC™ certified Dragonfly™ core plus Carbon Highlights equals considerable weight-savings while making the entire board livelier and quicker edge to edge. More powerful than the Flight Attendant, more versatile than the Fish, it slays natural terrain with speed and style.